When it rains and snow melts, the water accumulates on your property’s roof. Gutters and downspouts collect the liquid and filter it away from the house. Without gutter protection and routine upkeep, the channels may become clogged with debris. When this happens, water remains on the roof, which could saturate the membrane and cause leaks. It could also trickle down the sides of the house and settle at the foundation, increasing the risk of basement flooding. To prevent these problems, here’s what you should and shouldn’t do when caring for gutters. Schedule professional cleaning twice a year. Although regular upkeep will extend the life expectancy of the fixtures, you should at least invest in professional cleaning once in the spring and again in the fall. The spring cleaning will remove any debris caked in the channels from the winter. Because it frequently rains in the spring, clearing the gutters will also ensure they can direct runoff away from the house. During the autumn, the fixtures become clogged with fallen leaves and twigs. Having them cleaned will help prepare for the winter, as you won’t have to worry about water getting trapped in the channels and causing ice dams. Invest in downspouts and gutter guards. Gutters direct water to downspouts for disposal. If the property is on a slope, the water could trickle back toward the house and settle at the foundation. To prevent this, consider lengthening the downspouts, so water is deposited farther away. 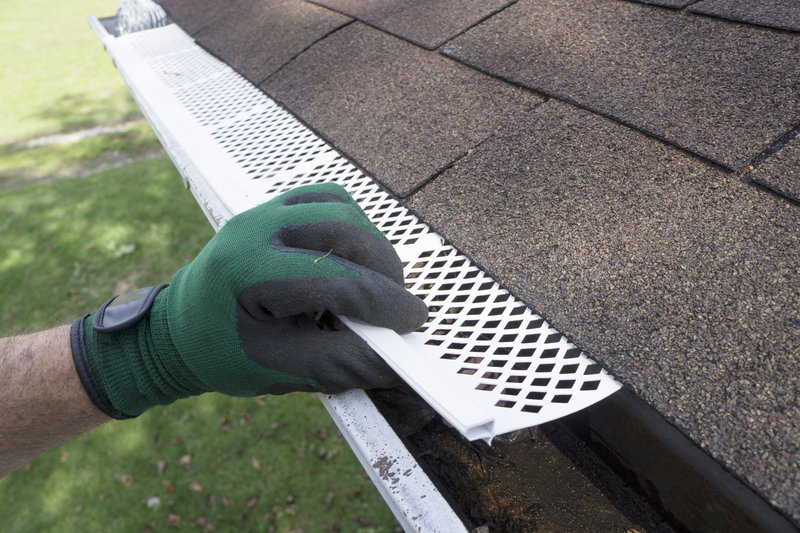 To safeguard against clogs, you should also install gutter protection. Screens will fit over the fixtures, allowing water to seep through, while keeping debris out. Forget to call professionals for inspections. Beyond professional cleaning twice a year, you should also reach out to a roofer for routine inspections. With an up-close examination of equipment, they can spot loose fasteners, deterioration, gaps between channels, and additional issues that might otherwise go unnoticed. They will provide the necessary solutions to keep minor concerns from turning into major problems later. If a technician spots a cause for concern during an inspection, don’t hold off on scheduling repairs. Neglecting the issue will only make the problem worse, as the strain from trying to function properly will exacerbate the damage. Getting issues resolved as soon as they arise could salvage your investment. If you want to invest in a gutter protection system to keep debris out of the fixtures, contact Ray St. Clair Roofing in Fairfield, OH, for help. The technicians will install Gutter Helmet® equipment to prevent clogs that lead to roof leaks. They’ll also install seamless aluminum gutters if you want an upgrade and tend to roof repairs when needed. To schedule a consultation and learn about their gutter protection equipment available, call (513) 874-1234. You can also visit the company online to learn more about their gutter maintenance and installation services.